Ever just get that crazy sweet tooth craving? If you do, making a stop at Key West Cakes on White Street will likely curb that craving. On top of creating some unique cakes for all occasions, this cute little shop also makes some amazing cupcakes, cookies, and savory meals to go such as chicken pot pie. I recently stopped here with my friend Pam and we tried a coconut cupcake, a lemon cupcake, and a slice of carrot cake along with a good cup of coffee. We also picked up a few cupcakes to go to bring to some friends. I have to say that the entire establishment’s presentation is great. Not only are the cupcakes decorated beautifully, but entering the shop is like walking into a real live doll house that smells like heaven. By far my favorite item was the carrot cake. It was moist and delicious and not cloyingly sweet. But I don’t mean that to take away from the cupcakes which were also yummy. 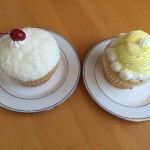 I am a huge lemon fan, so I enjoyed that one over the coconut, although both were moist and tasty. The other cupcakes that we ordered included an old fashioned (white cake with chocolate icing), an Oreo, and a red velvet. These I did not try, but the recipients all raved about them. The staff was friendly and even though they were busy we were still given more than adequate attention while we were there. 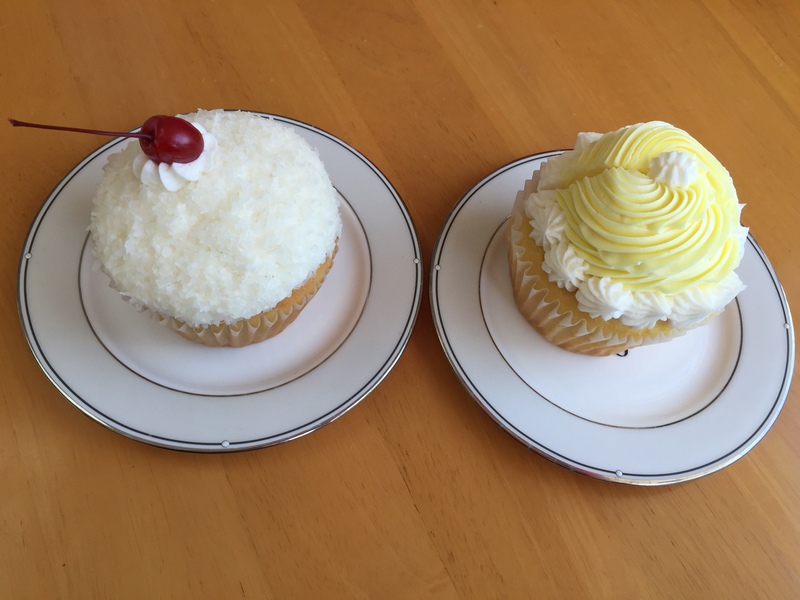 For a sweet tooth, check out Key West Cakes. You can enjoy a sweet treat inside or take one or two or three to go!